Masha Gessen is a staff writer at the New Yorker and the author of several books, among them The Man Without a Face: The Unlikely Rise of Vladimir Putin. The recipient of numerous awards, including a Guggenheim Fellowship and a Carnegie Fellowship, Gessen teaches at Amherst College and lives in New York City. 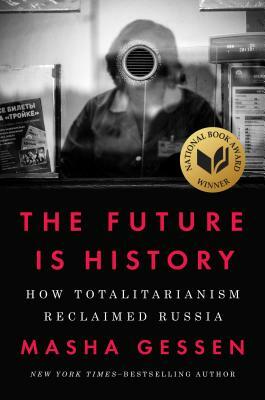 “It’s great and written in a direct, blunt style appropriate for the subject.” –Bill Clinton, New York Times "By the Book"
“Starting with the decline, if not the disintegration, of the Soviet regime, Masha Gessen’s The Future is History tracks totalitarianism through the lens of generation raised in post-Communist Russia.” -Vanity Fair, "Hot Type"
“Masha Gessen is humbly erudite, deftly unconventional, and courageously honest. At this particular historical moment, when we must understand Russia to understand ourselves, we are all very lucky to have her."